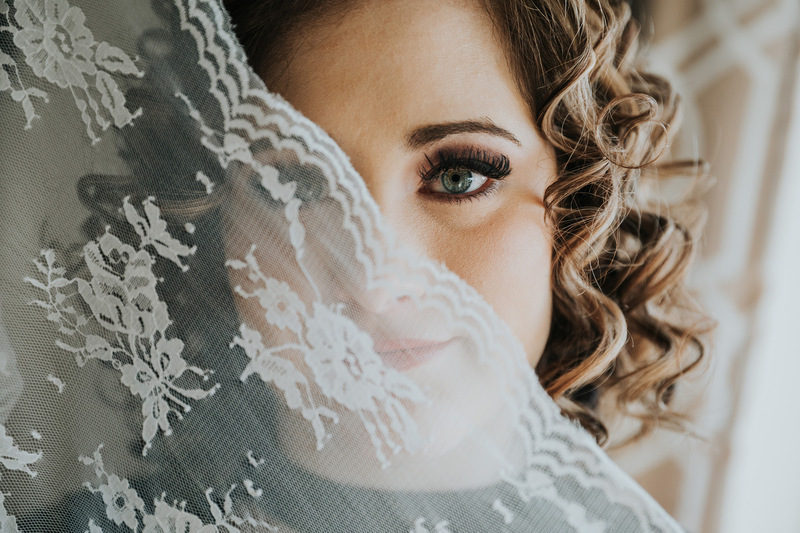 I love the idea of surprising your soon-to-be husband or wife with a gift the on the morning of your wedding day, and one of my favourite gift ideas is a bridal boudoir album. 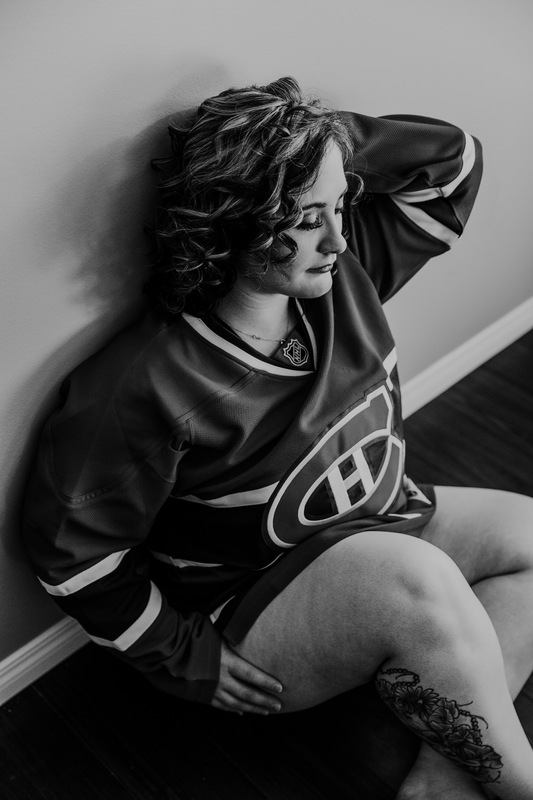 Not only is this a gift for your fiancé, but it’s also an amazing experience for yourself! 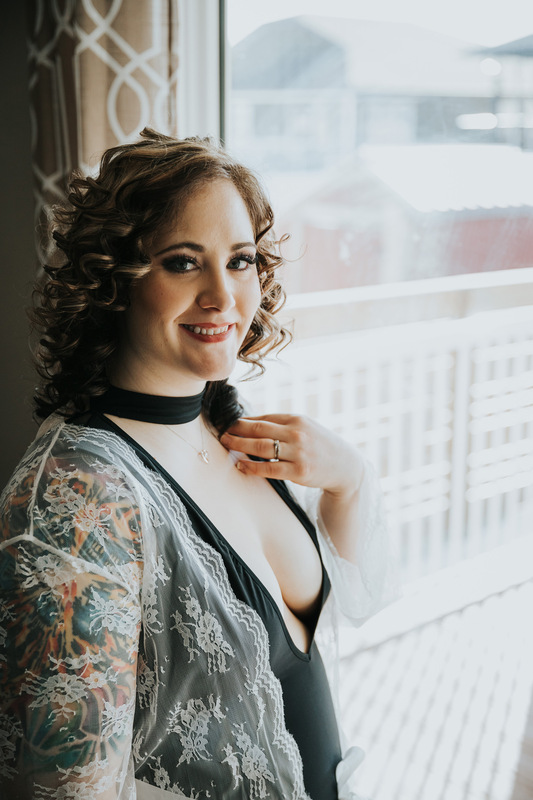 It’s an opportunity to boost your confidence, look and (more importantly) feel beautiful, and to celebrate YOU! 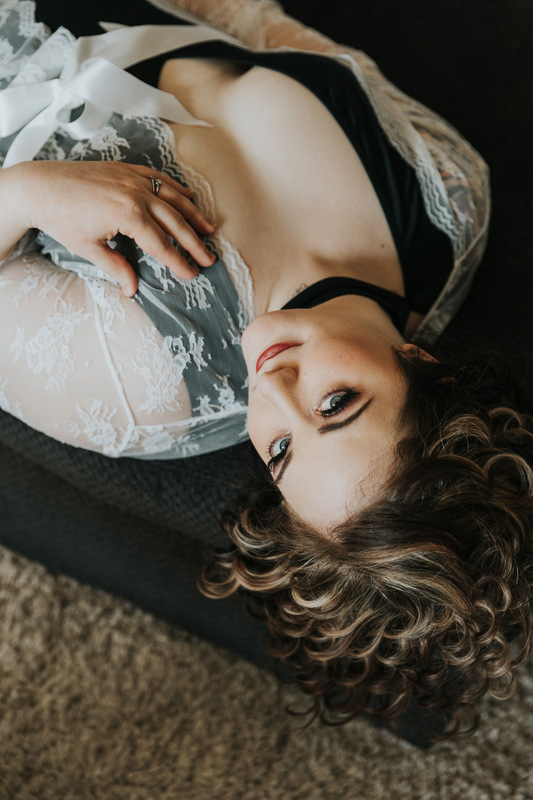 Boudoir sessions are a very powerful experience, and personally I think everyone should try it at least once. 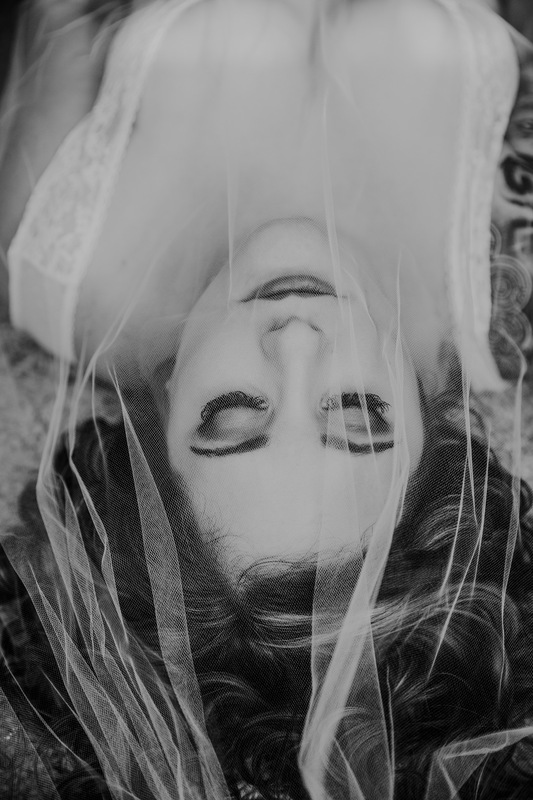 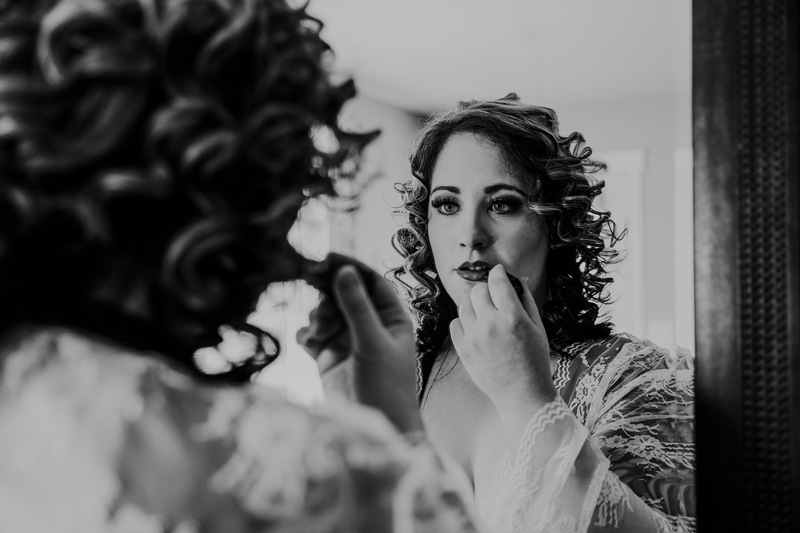 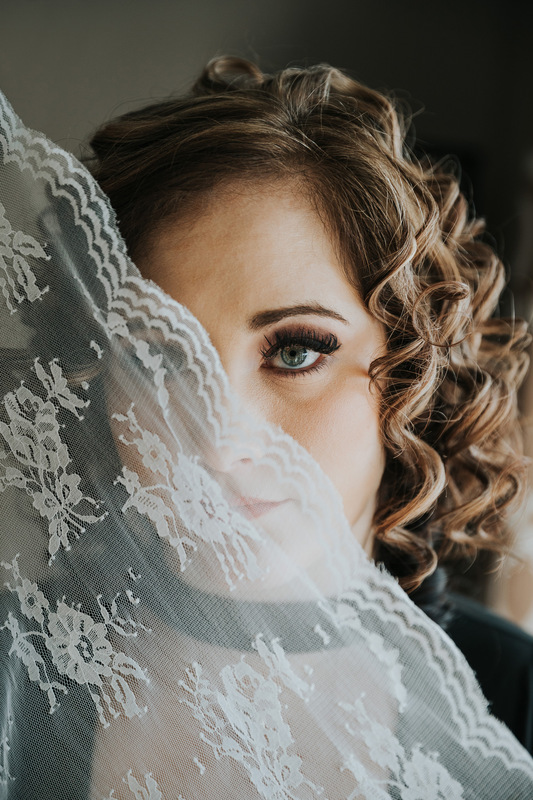 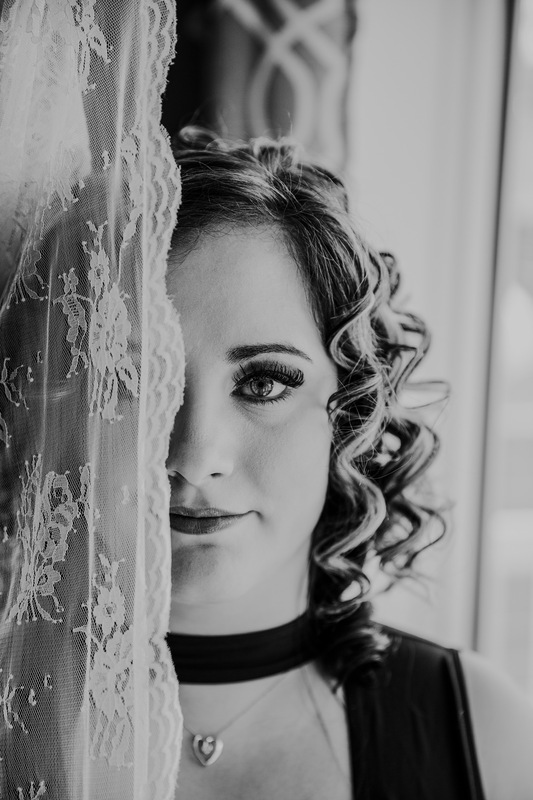 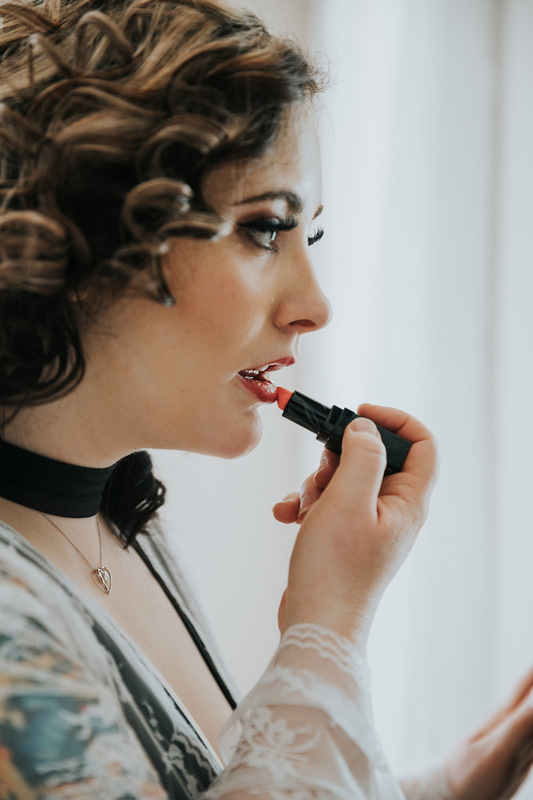 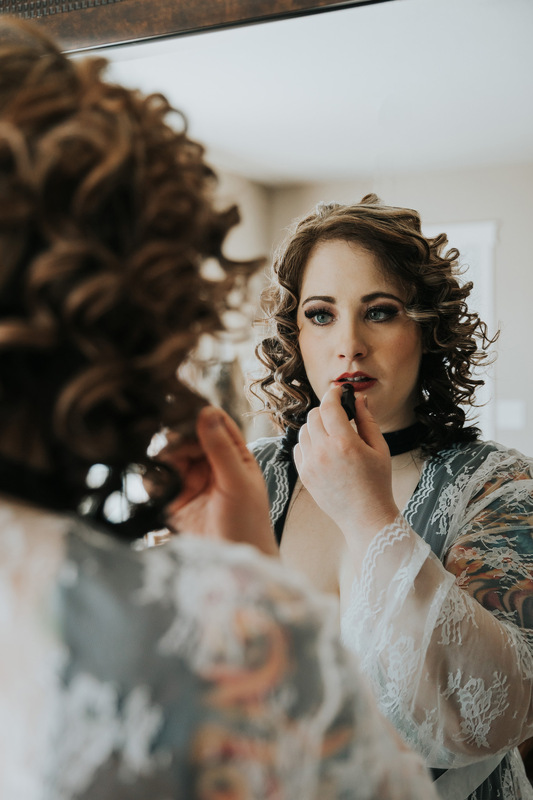 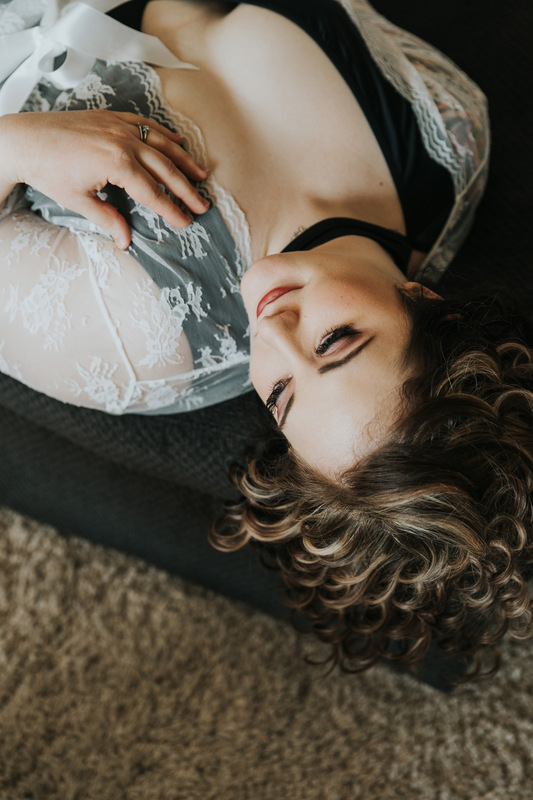 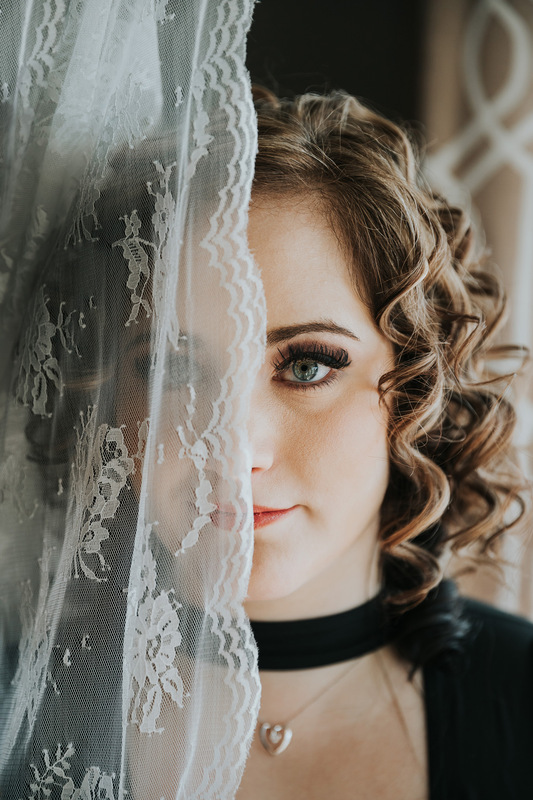 A bridal boudoir session is only slightly different from a standard boudoir session in that the bride-to-be often incorporates things like the wedding veil, her bridal getting ready robe, wedding shoes, or maybe even the bridal bouquet. 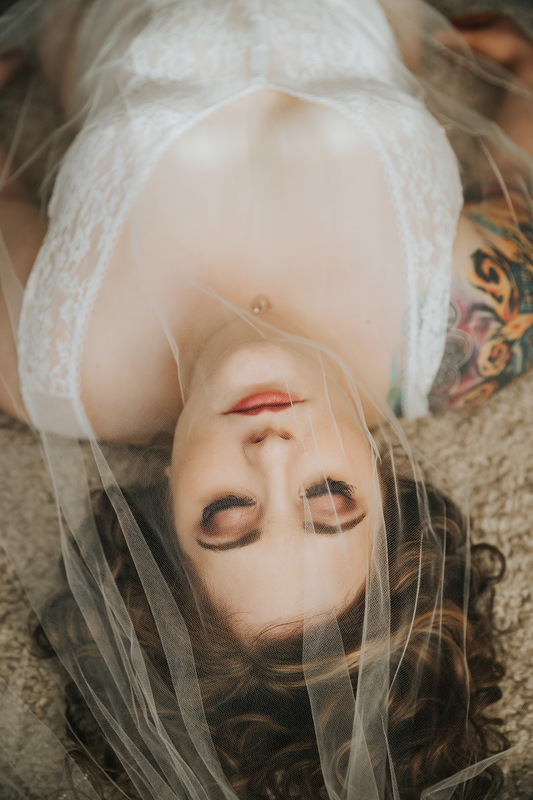 White lingerie is often worn (although as always I recommend whatever makes you feel good and suits you the best), and some brides even choose to incorporate their wedding dress into a few of the photos. 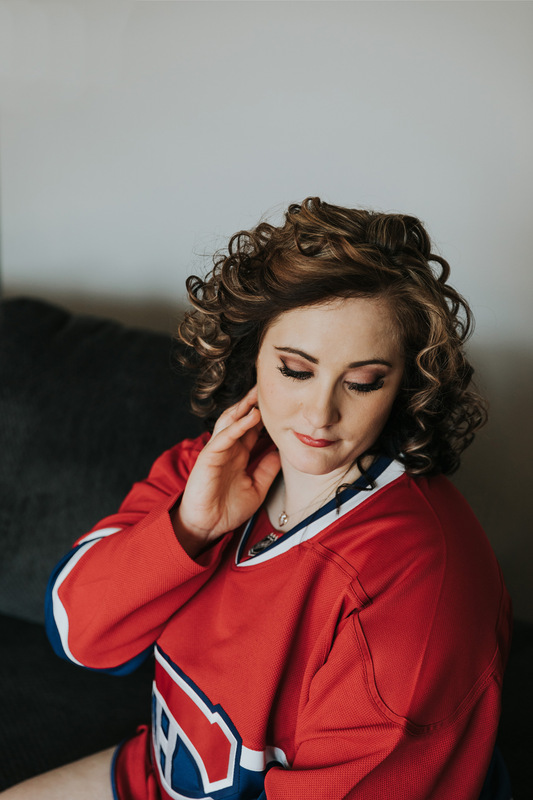 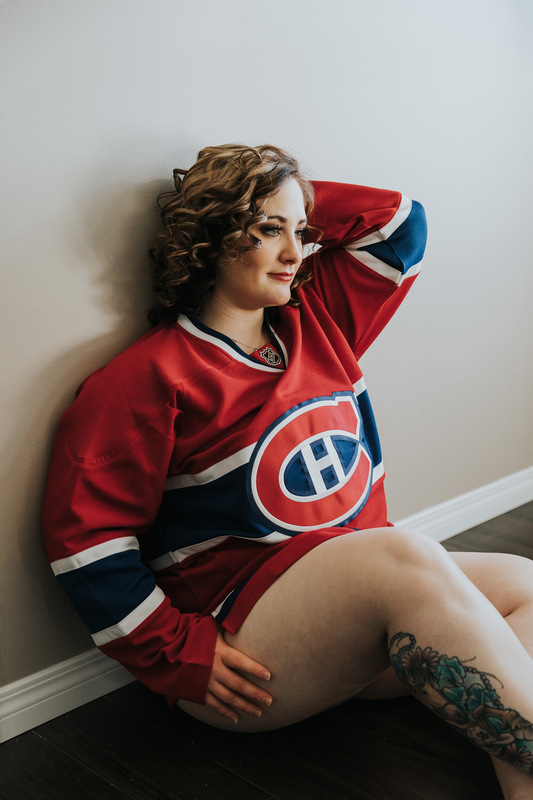 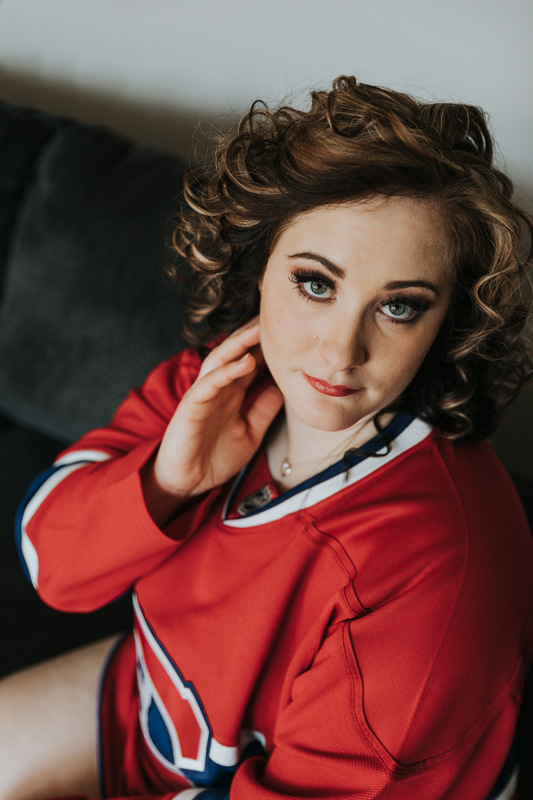 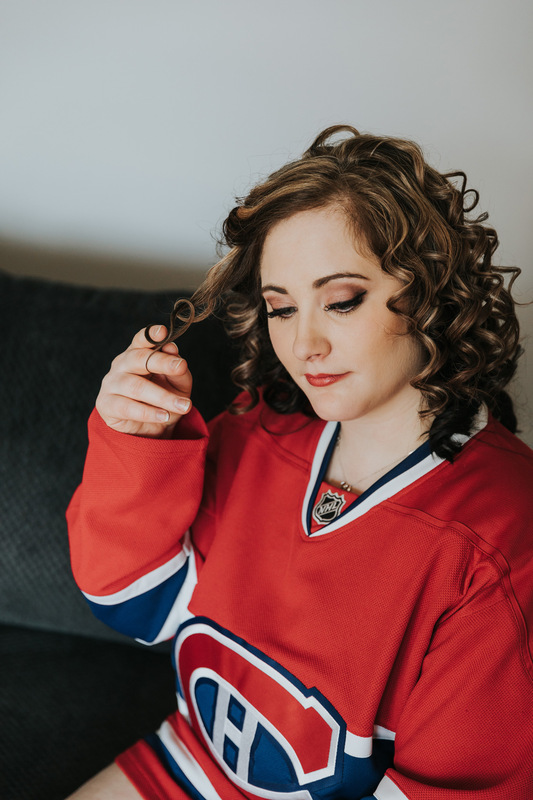 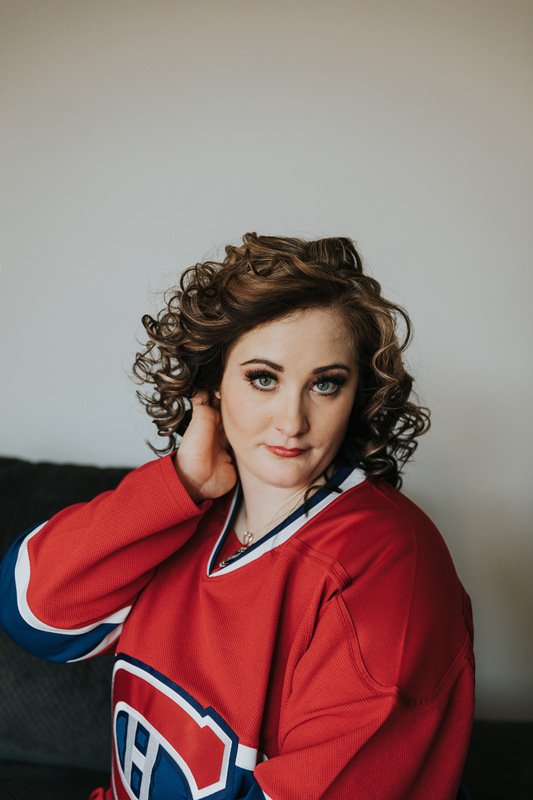 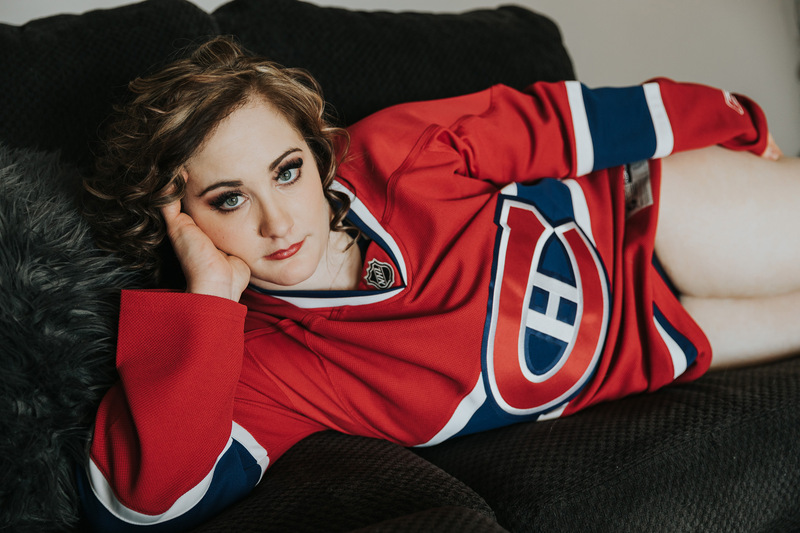 This bride chose to include a few of those things, but what I love is that she also included her fiancé’s favourite hockey jersey! 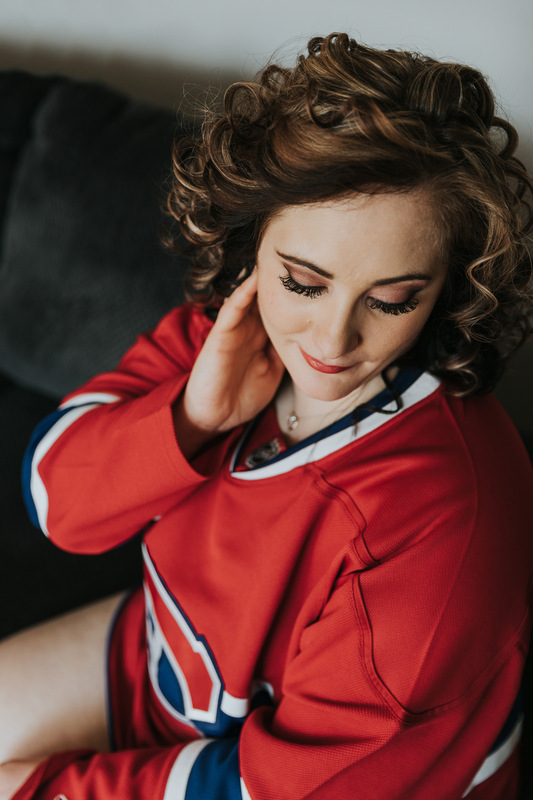 Then when the photos were ready I designed a custom album for her to surprise her fiancé with on their wedding day, and of course he absolutely loved it. 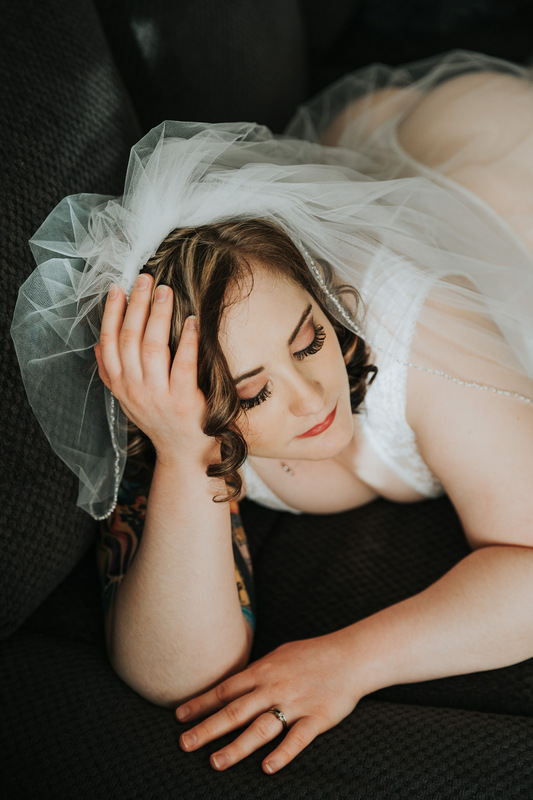 Take a look at this stunning bride’s session below!